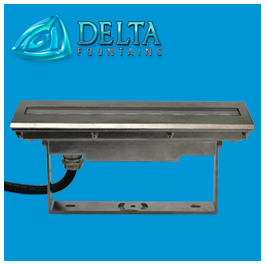 The RGB LED Linear Waterproof Light is a UL listed linear light with a mountable stainless steel fixture and replaceable LED bulbs. 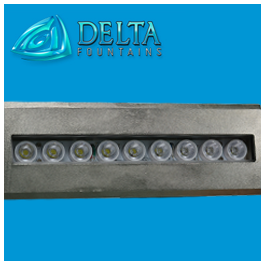 The LED light is available in 36W 12 VAC or 24VDC (RGB), 27W 12 VAC or 24VDC (RGBW and white-only) color options. 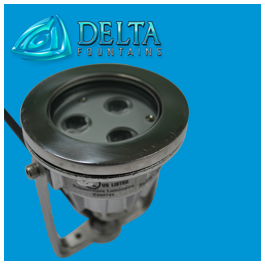 It’s DMX controlled and has an optional stainless steel connection bracket to allow up to 3 lights to connect. 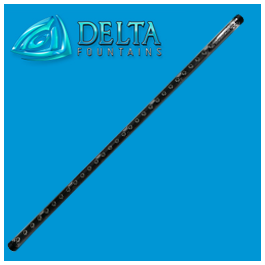 The stainless steel casing makes it ideal for both underwater and dry applications. 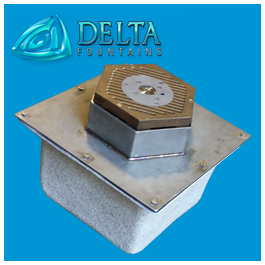 The stainless steel faceplate has chamfer edges to allow it to lay flush with the fountain deck and helps prevent tripping. 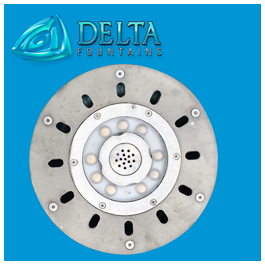 For more information about this light, contact one of our electrical specialists today.